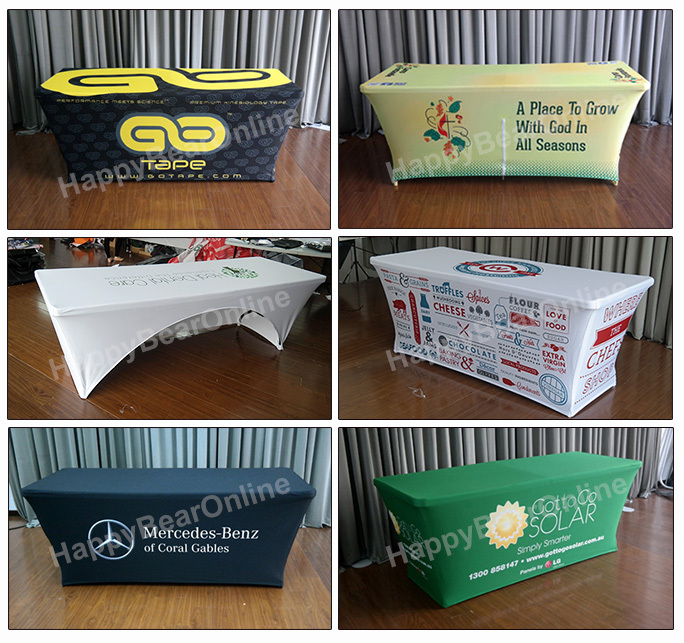 Table Cover (polyester) is heat transferred on polyester with full color. It's wrinkle-resistant and can be machine washed. It can be folded into small size for transport and quite durable for a long time usage. No print area limit. You can print a logo or full color, full size printing. 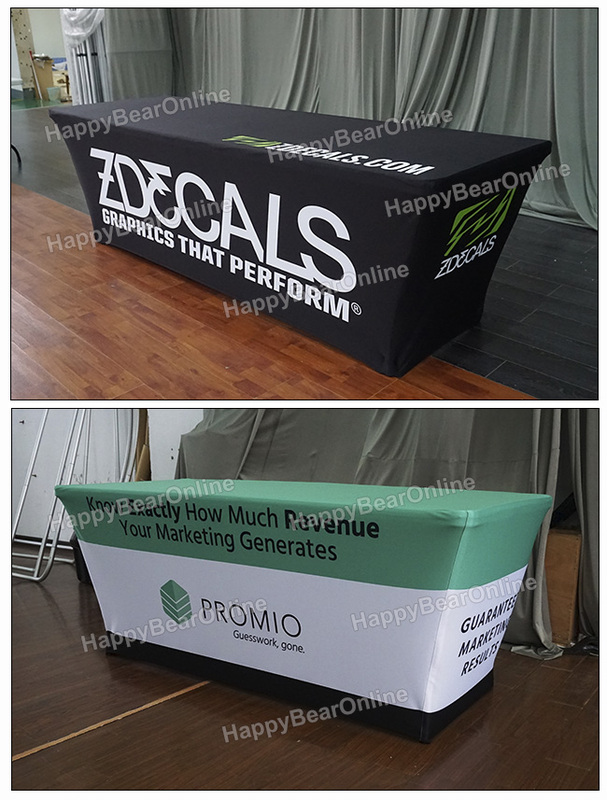 6' or 8' table cover is the standard size. Custom size is available. Free Shipping!